WASHINGTON — The Supreme Court won’t let the Trump administration begin enforcing a ban on asylum for any immigrants who illegally cross the U.S.-Mexico border. 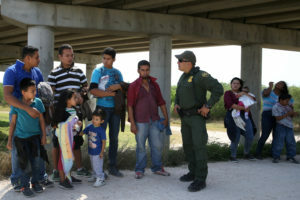 The court’s order Friday leaves in place lower court rulings that blocked President Donald Trump’s proclamation in November automatically denying asylum to people who enter the country from Mexico without going through official border crossings. But Chief Justice John Roberts and the court’s four more liberal justices rejected the administration’s suggestion for narrowing it.